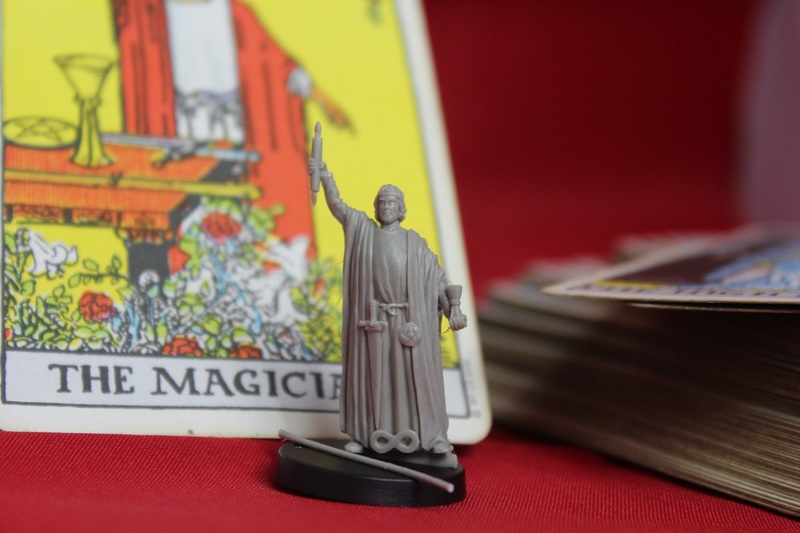 Collect twenty-two 34mm figures based on the Tarot Major Arcana. A new world for Tarot opens up with the release of each collectable 34mm figure building to a complete set of 22 tarot figures. Conceived & Designed by leading tarot authors and teachers Marcus Katz & Tali Goodwin, sculpted by leading gaming sculptor Lux Thantor, and with cover art by Kiri Østergaard Leonard (Green Witch Tarot), this is the first time Tarot has been realised in this unique manner – so the set is likely to become highly collectable. 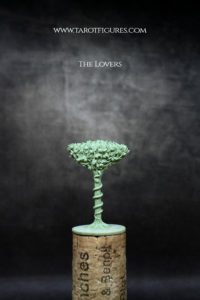 Each figure will be released approx. every two months at $14.99 per figure (including worldwide postage) and you will also receive an exclusive Arcana3D PDF with every figure. 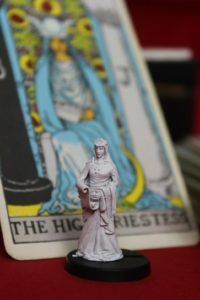 The Arcana3D will provide you innovative and powerful methods to use your figures with your tarot cards (or without) in magick, play and mystery. Your figures and set of pamphlets will build up over time to provide a complete grimoire based on a new system of tarot magick. These figures are also optional components in the world of ARKARTIA and are planned to provide owners unique functionality within that site. You might chose to simply collect the set as a talking point or to attract people to your reading table at events, faires and markets. 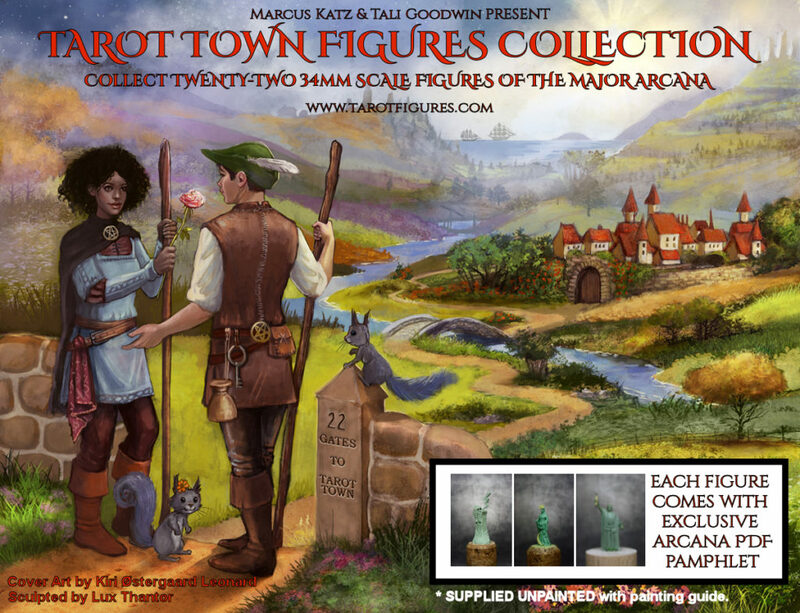 A totally new world for Tarot is opening and we invite you to join us in the company of the Tarot Town figure collection. Fool, spray painted white primer ahead of painting. 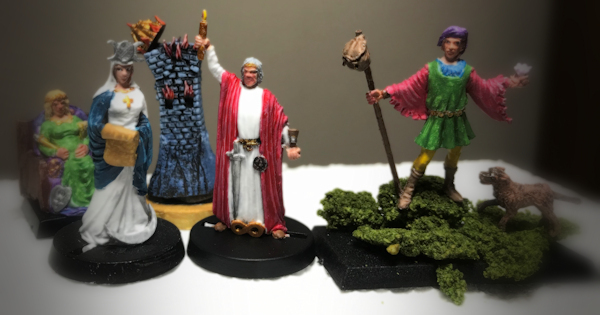 Photos below are of original sculpts, the figures are cast & arrive with you in neutral grey resin suitable for painting (see Magician photo & in video). 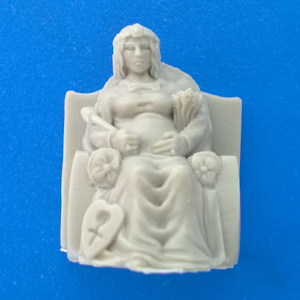 The Empress figure is now available for your collection! 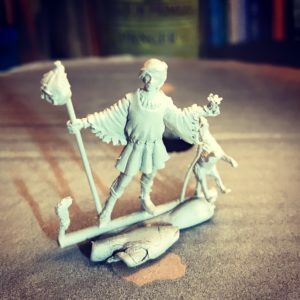 The picture above is the original sculpt of the figure, and the picture below a first cast of the figure, unpainted. The Emperor figure is now available for your collection! 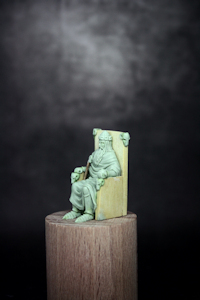 The below is the original sculpt of the figure. 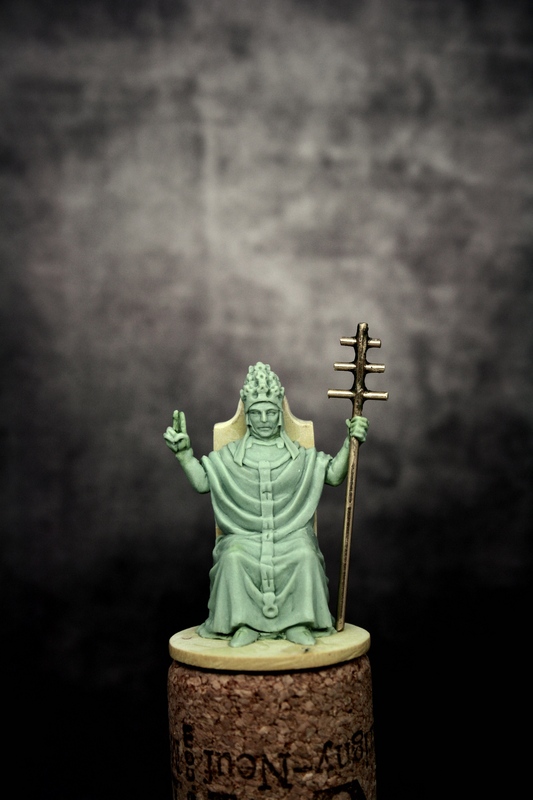 The Hierophant figure is now available! 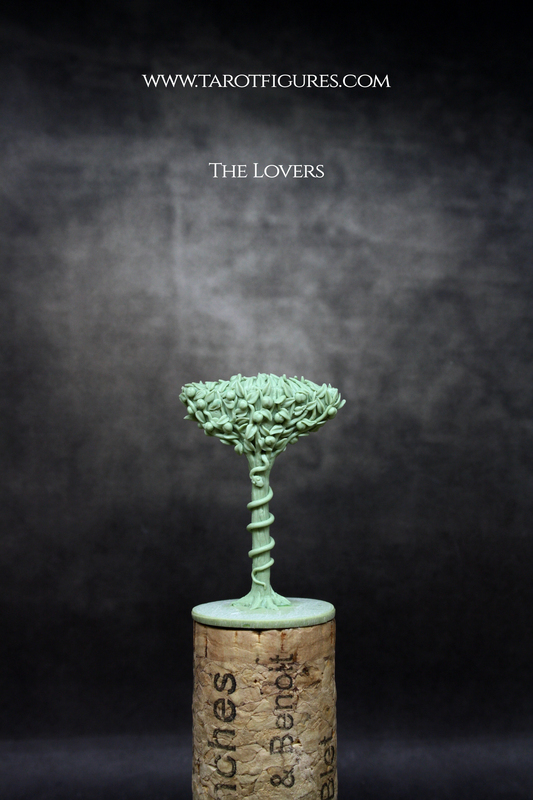 The Lovers figure is a stylised design of the Tree of Knowledge in the Garden of Eden, wrapped with a Serpent. This carries the symbolism of choice, self-awareness and temptation in the card. 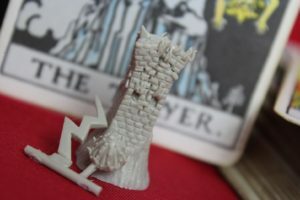 The Blasted Tower was created out of sequence as an initial comparison of a “non-character” figure (such as the Wheel) against the character figures (such as the Hanged Man). It is now available for purchase! Once the collection is complete, we aim to release a special collectors box and bonus figures including a commemorative Pamela Colman Smith & A.E. 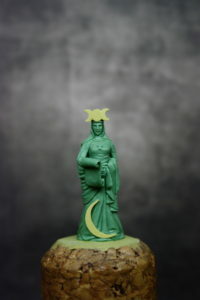 Waite pair, an Aleister Crowley & Frieda Harris duo, etc. Tarot Town posters and other artifacts will be made available throughout 2018-2019. We recommend a kit such as the Army Painter Mega Kit which contains brushes and paints. 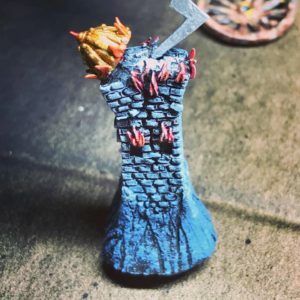 There are many fantastic video tutorials on Youtube for every level of skill and interest if you wish to paint your figures in detail. Here is a simple method using just 6 colours. For very detailed work, we suggest a helping hand magnifier and a good dimmable LED light. * Allow 2-3 weeks for delivery, figures distributed from UK & US. P&P charges are included in the individual figure cost and are reflective of our experience of worldwide distribution & delivery issues. Bulk orders (over 5) please contact us. 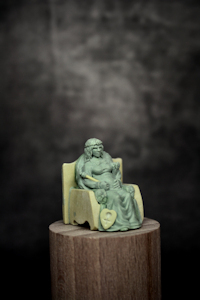 Be the first to know when each figure is available when you register to our announcements.